Ho Chi Minh City has a lot to offer to its visitors, whether short-term or long-term travel. I have been living in this charming city for 3 months now (not a long time I know), but it feels like I’ve been living here for a longer! 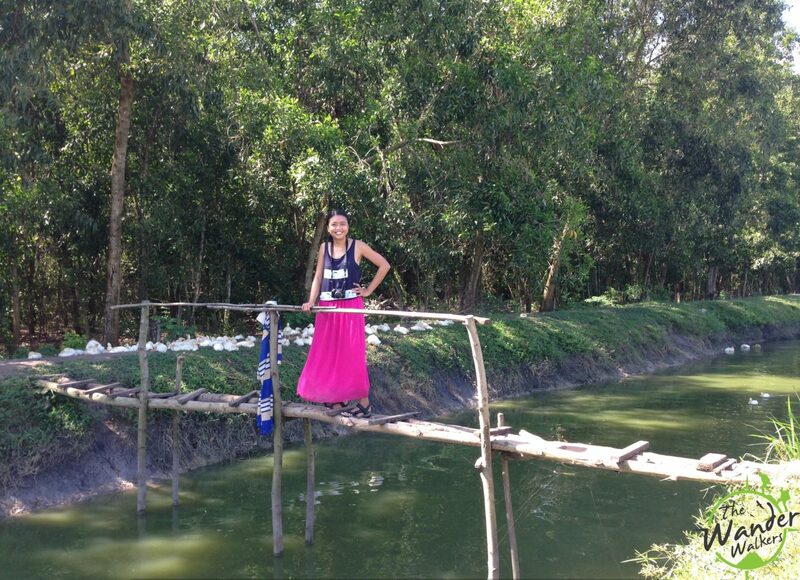 You can read my personal blog about what made me at home in Vietnam. 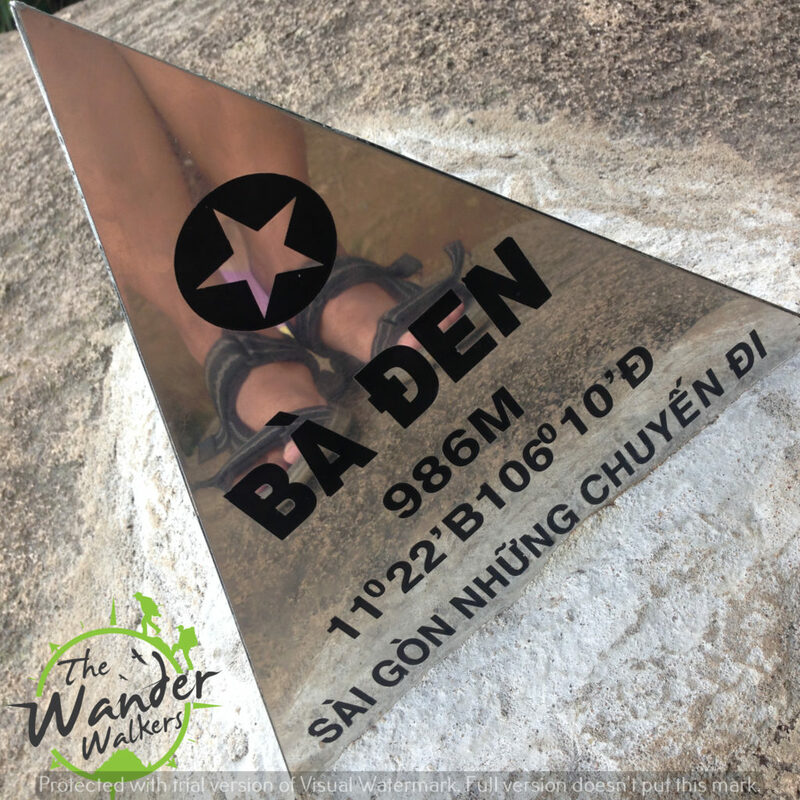 However, I’m a self-confessed adventure addict and the only thing that I complain about Ho Chi Minh City is the lack of outdoor nature adventures. Great to have Black Virgin Mountain lying outside the city, though! Yes, that’s right. When you visit Ho Chi Minh City, you will enjoy a lot like authentic and cheap food, shopping, architectures, the people and the city vibes itself… except nature. It’s a vast land of nothing but flatness! No contours, mountains nor hills, no waterfalls nor springs! Saigon’s Skyline as seen from the tallest building in Vietnam. I have also asked some locals if there’s any “secret outdoor adventure” that I may avail for myself but the answer is a simple but hurtful NONE. 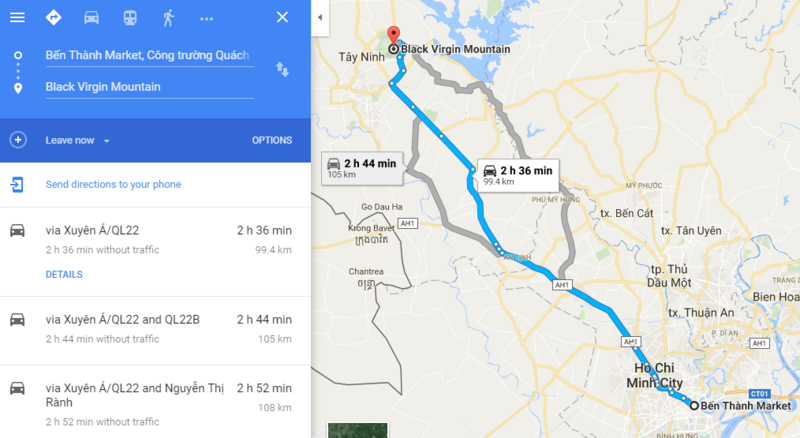 So I started looking for one outside HCMC and found the closest mountain on the map… Black Virgin Mountain aka Núi Bà Đen in Tieng Viet language. 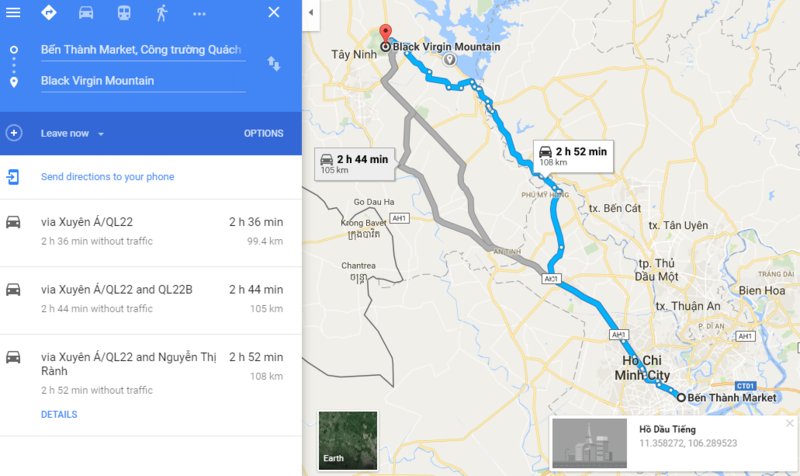 Núi Bà Đen is located in Tay Ninh Province, and is around 100 km from District 1 in HCMC. There is an option of taking the bus and sightseeing along the road, or drive your own motorbike and control everything else controllable. 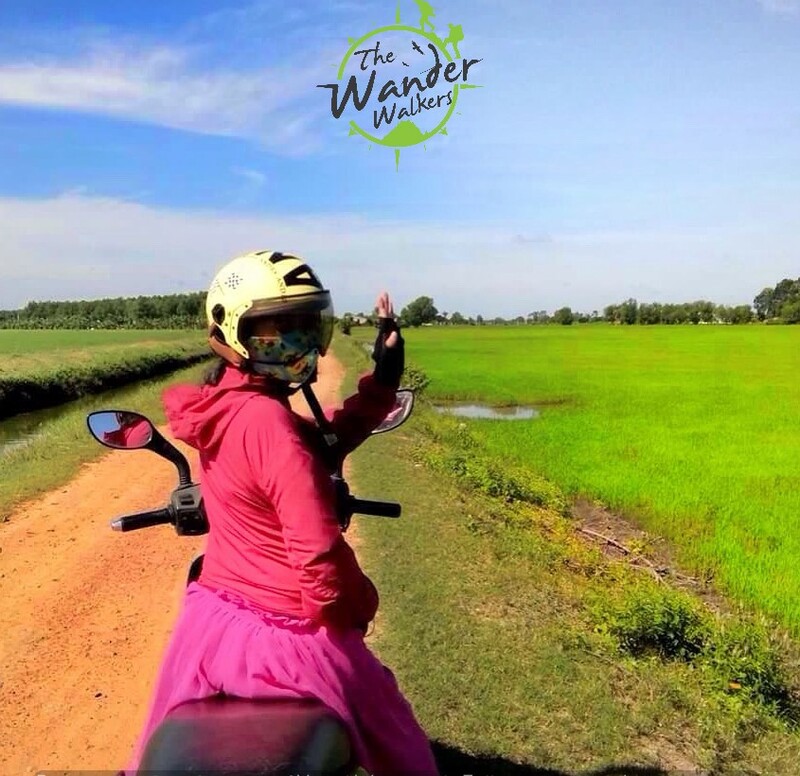 But if you want get the best experience out of this adventure, then choose to hop on a motorbike and drive that freaking 100km, which will take you a little over 2 hours at 50kph nonstop. I have never driven that far myself, but I have experienced sitting on a backride for 5 long hours when I was in Malaysia. That gave me inspiration that I could do this 2 hours drive, with my Vietnamese friend Cuong. Expense: 100K VND for gas per motorbike (which can carry 2 pax) vs 60K VND per person per one way. If you don’t have your own motorbike, you can rent one for 120K VND per day in one of the shops along Pham Ngu Lao St. I got my motorbike from Chi’s cafe with the contact details below and for them, the only requirement is leave your original passport OR leave 5M VND as deposit which they will return once you give back the motorbike. Control: If you see a very nice spot, you can just stop to take a picture, or if you feel like eating, you can just stop to grab a bite, or if you want to pee, you can stop and do it anytime if you are on a motorbike VS nothing of those when you ride the bus. Convenience: You can can go anywhere point to point if you are on a motorbike vs being dropped to a terminal and find your way on your own to your destination. We did the 1st route above because I wanted to drive by the lake. Give yourself a favor and do not do as I did because the road where I dropped a gray pin in Route 1 is a totally rough road yet without the view of the lake 🙁 That’s why we got lost somewhere. But it was okay because we passed by really great views while finding our way back to the right route. 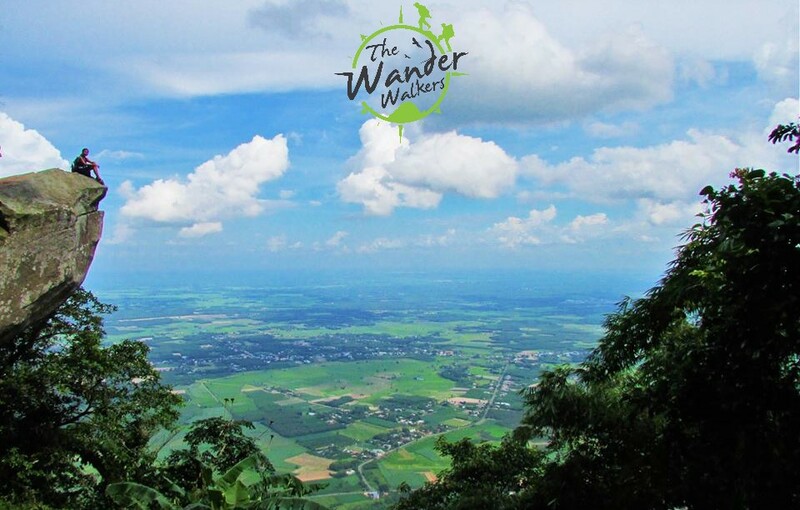 Black Virgin Mountain is the highest peak in Southern Vietnam at 986MASL. 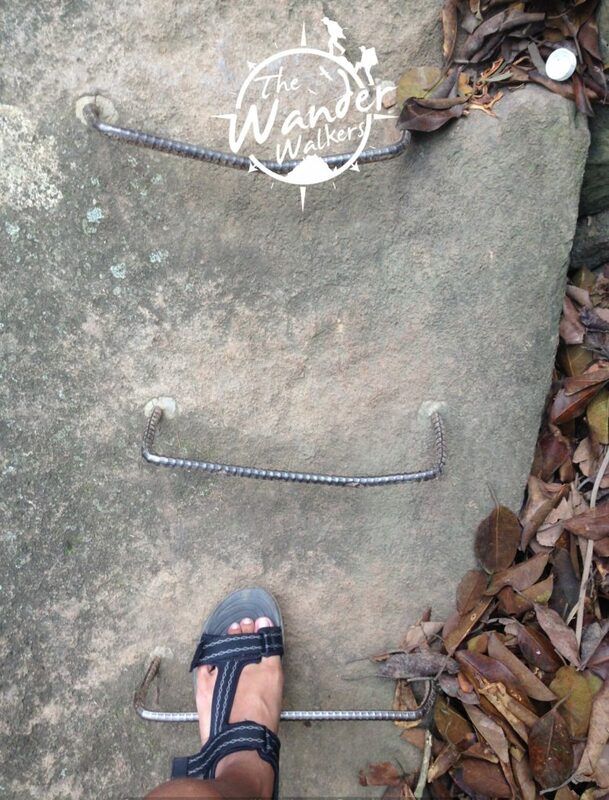 Your ascend will start once you get to the entry point of Black Virgin Mountain Park. you can park your motorbike for less than 10K (my friend paid for me so I couldn’t remember the exact amount). Pay also for the entrance to the park which is at less than 20K. 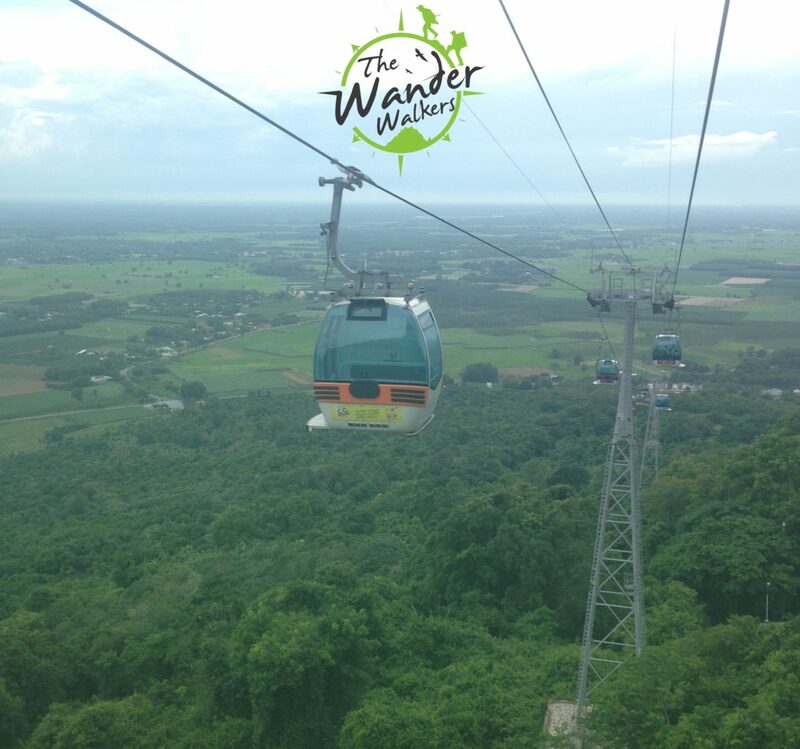 Once you enter the park, find your way to the entrance of the cable car which will lead you to the lower third of the mountain for 150K VND for a 2-way ride, each way being just around 4 minutes to complete. You also have the option to hike from the foot but since getting lost took some of our time, we decided to take the cable car which is a good experience as well. Once you reach the end of the cable car, you’ll have to climb up through a paved staircase for around 30 – 45 mins depending on how fast you do it. Along these staircases you will find Pagodas where the local Vietnamese go to to worship their gods. I didn’t take much interest though on these religious sites because I personally believe there is only One God, the One who created all the Universe and the beautiful earth I’m exploring right now. 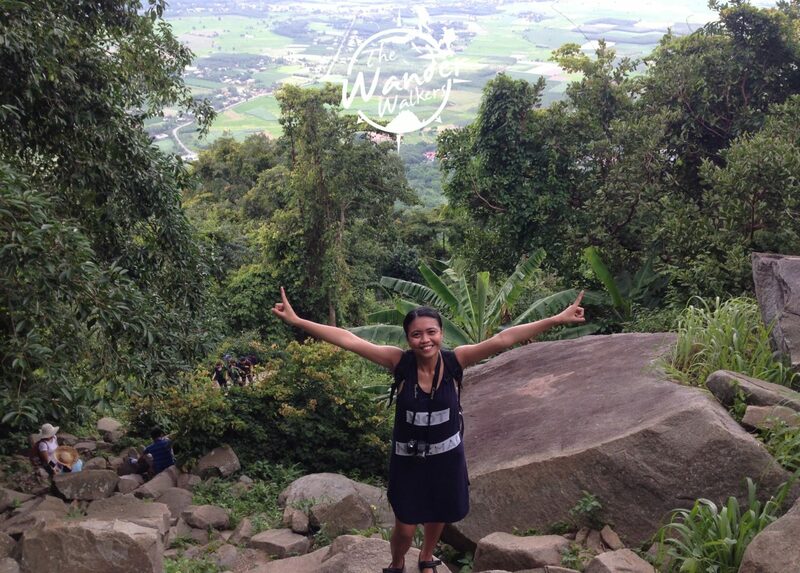 It was interesting however to find locals religiously climbing this height to do their vows and prayers. Hiking fun starts the end of the staircases, which marks another 2-hour hike to the summit of the mountain. 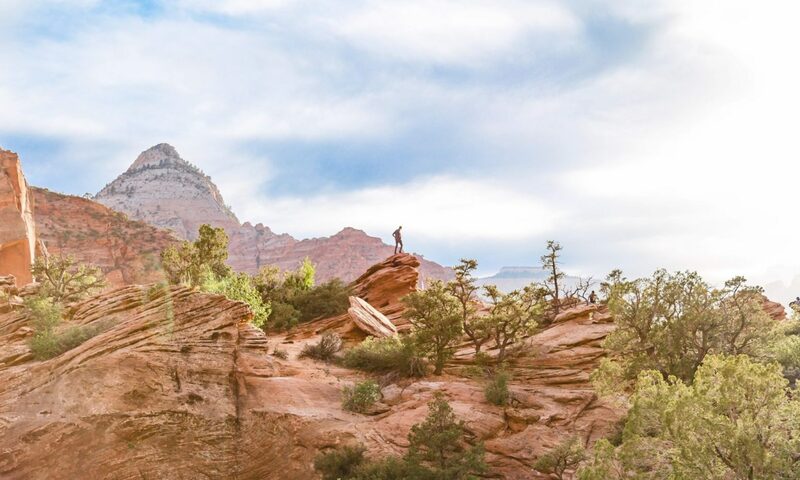 The trail is very visible that it is impossible to get lost, but challenging because of the rocky or bouldery path. There is even a point where a ferrata could be of help. My blood was pumping alive with the trail of this mountain because it was so exciting! It would be helpful to bring hand gloves to protect your hands from the rocks which you have no choice but to grab on! Be warned however that the trail is messed up with trash. Since this place is a go-to for the locals, I’m sure that they’re to blame. 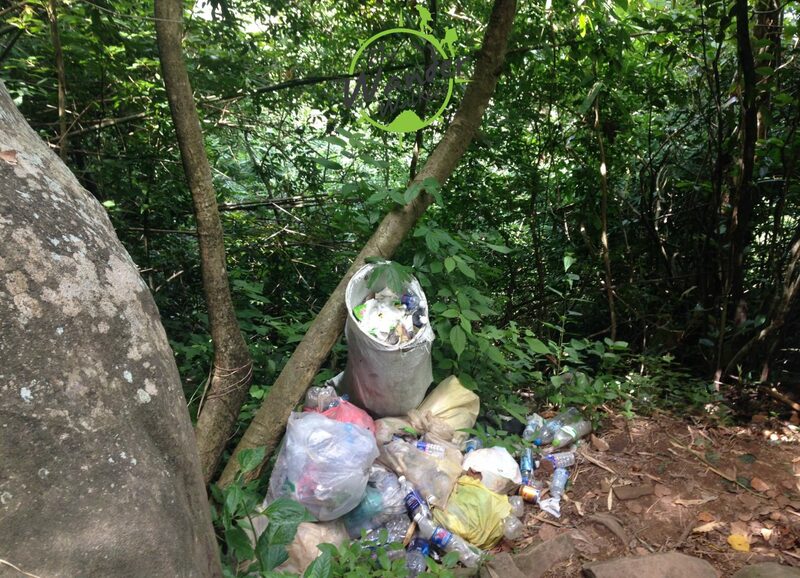 They have no idea of the Leave No Trace mountaineering rule. But since you know it, please obey it! 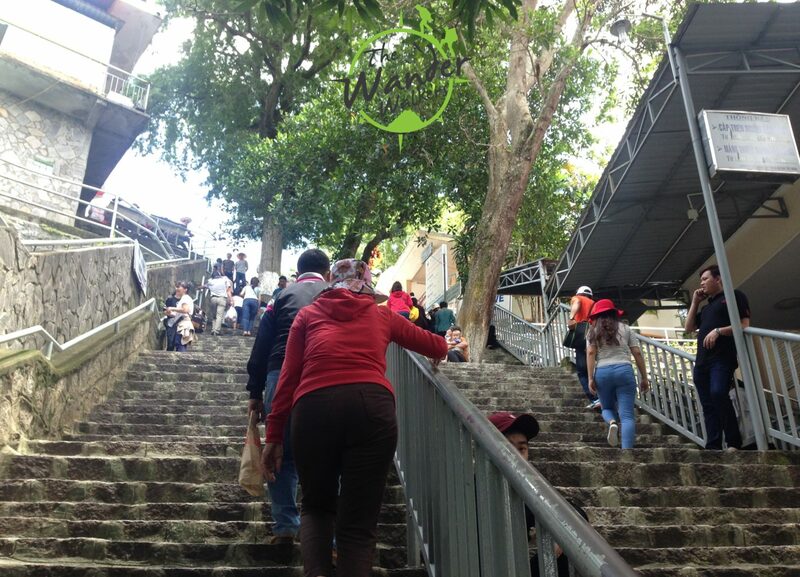 There are vendors of water, juice and food up the trail which is really helpful! Dont have to bring supply and carry it all through out. It also amazed me that the price was the same up as that of the foot of the mountain, even as in the city! Back in my home country, water is twice as more expensive when it’s sold from 200MASL. Lol. Once you see this part, you’re very close to the summit of Black Virgin Mountain already! From this area, you could walk further to find an old military watch tower. We tried to go there but it was off limits so I think going there was just a waste of time and energy. Forecast of our hike is that it will rain but thank God that it didn’t rain until we were almost back at the staircases. So we were able to relax for around 1 hour at the summit. I had a Vietanamese friend who joined me accomplish this adventure and I suggest you find one, too. Best thing to do it is via Couchsurfing. I’ve experience traveling with locals more than a couple of times through Couchsurfing by posting an event in the website and allowing locals to join you. 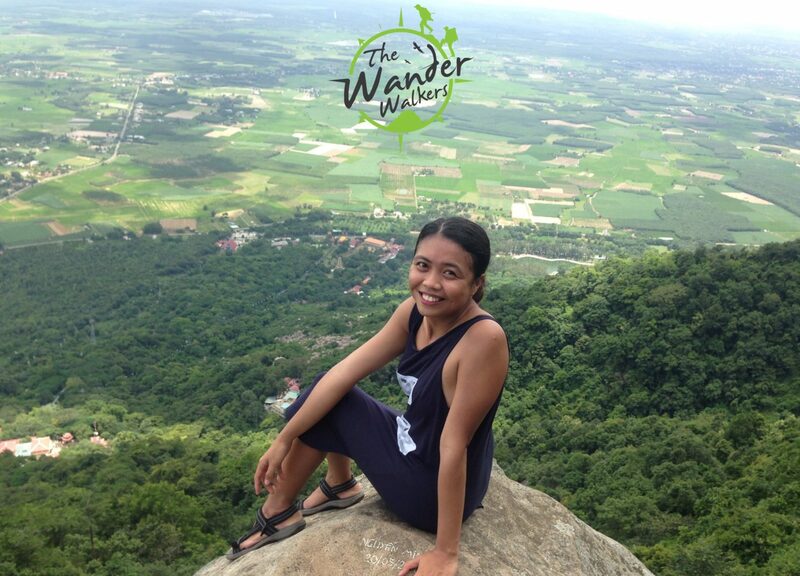 The only write-up I have though is the one where I met my Wanderwalkers family. You can read about it here. 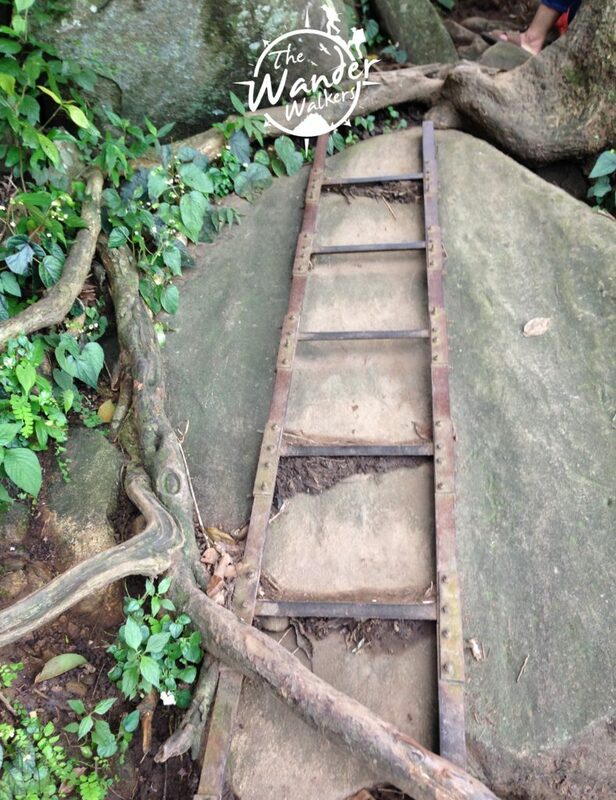 Also, when I hiked Bukit Tabur in Malaysia, I found some new good friends all over the world who joined me because of Couchsurfing. I posted a video about it here. 2:00pm Start descend (make sure to arrive at the cable car terminal before 4pm if you want to catch the slide! But if you didnt make it on time, cable car is there until 5pm. You could also watch the teaser video I made here for a more vivid feel of the experience. That’s it! 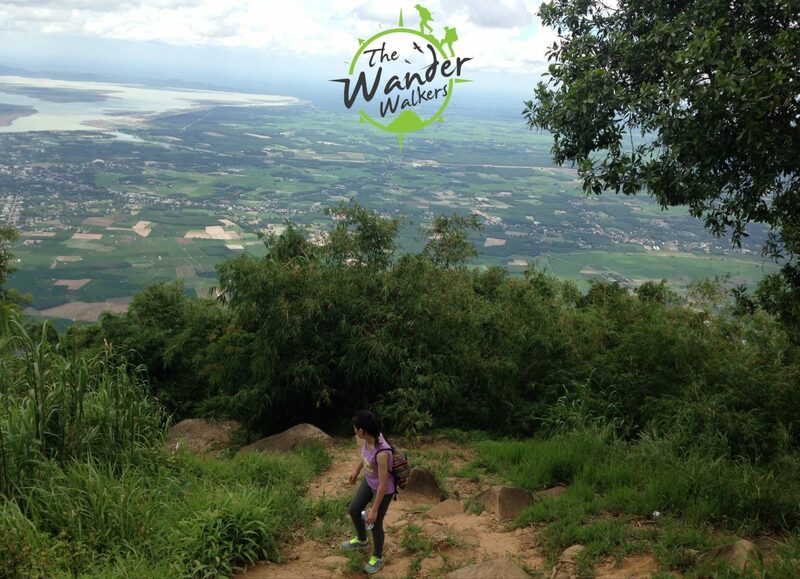 I hope I made a complete guide for hiking Black Virgin Mountain. If you have any questions, feel free to comment below and I will answer as much as I could. Enjoy! Hi! Do you know what bus to get? Hi Oscar! Thank you for your comment! Yeah I think it’s recommended that you should be in shape. But I think this can be for almost everyone because I was with a friend who didnt have preparation whatsoever, and she made it. Hehe.